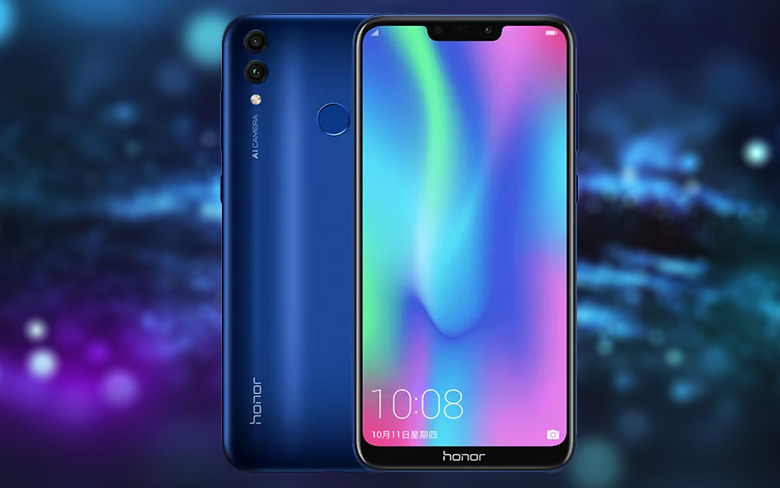 Few days ago, Honor launched the Honor 8C smartphone in China. It is the world’s first smartphone to come powered by the Qualcomm Snapdragon 632 octa-core processor. Today, the company launched the Honor 8C in the Indian market. The device comes with a shiny finish body with rounded corners. Lats tolk about specification, the Honor 8C sports comes with a 6.26-inch FullView IPS display with HD+ (1520 x 720 pixels) resolution and 19:9 aspect ratio. As mentioned earlier, the device comes powered by 14nm Qualcomm Snapdragon 632 octa-core processor coupled with Kryo 250 CPU and Adreno 506 GPU. It comes equipped with 4GB of RAM and will be available in 32GB and 64GB storage options. There is also a dedicated MicroSD card slot for further expansion of storage up to 256GB.In the camera department, the Honor 8C sports 13MP + 2MP dual cameras on the rear with f/1.8 aperture and an 8MP single camera on the front. Both the front and rear cameras come accompanied by a LED flash. We can also spot a circular fingerprint sensor on the rear. It is backed by a 4,000mAh non-removable battery and comes with a 5V/2A (10W) power adapter. The Honor 8C runs on Android 8.1 Oreo out of the box with EMUI 8.2 . The connectivity options include in the phone are, 4G VoLTE, Wi-Fi, Bluetooth 4.2, 3.5mm audio jack, GPS, and a MicroUSB 2.0 port. It will be available in Blue and Black color options. The Honor 8C is priced at Rs 11,999 and Rs 12,999 for the 32GB and 64GB storage variants respectively. The device will be exclusively sold via Amazon India starting December 10th. Saty tuned on PhoneWizerd for more information!